Votorantim Group is one of Brazil’s largest privately-held conglomerates operating in a wide range of industrial sectors. This year the group celebrates its 100th birthday. One of the major social focuses for the group is education, investing in educational projects via the Votorantim Institute. Their aim is to to transform the localities in which they operate by investing in programmes and projects that support education, local development and public management. It was therefore a great honour for Simon and I to be invited to take part in Vototalks, an on-line digital festival hosted by Votorantim which took place between the 6th and 10th of August. The festival included over thirty inspirational professionals from a wide range of backgrounds who shared their knowledge, practices and wisdom to explore the process of transformation in business, society and the environment. In our talk we discussed why we felt the need to extend and expand customer experience design through our Holonomics approach. 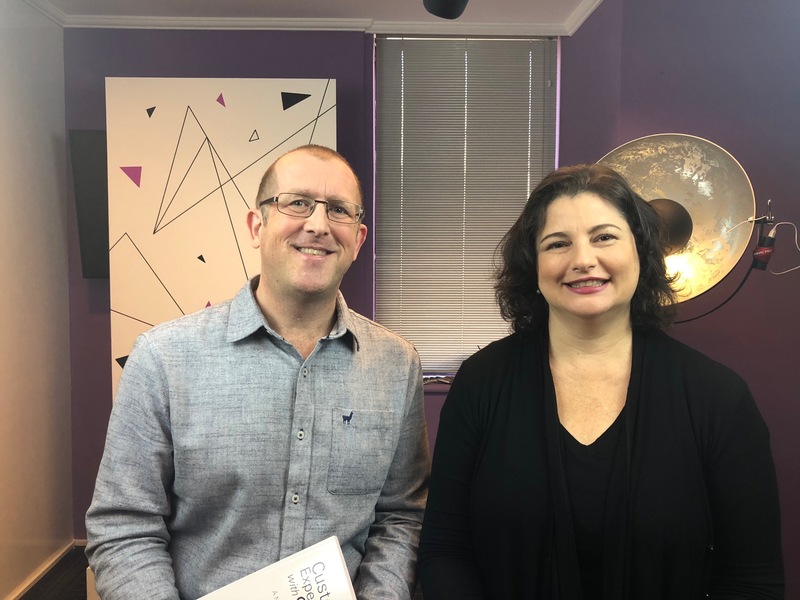 In this article I would like to share that part of our presentation where I discussed four key insights from our book Customer Experiences with Soul framework. 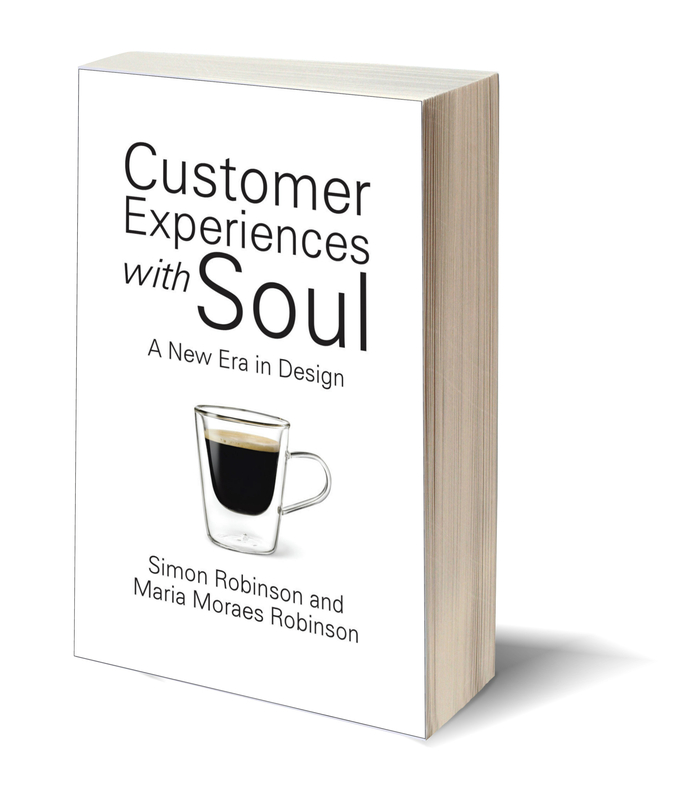 For Simon and I, the most disruptive word in innovation is soul. The big question therefore is how can we put this soul into practice? How can we understand the nature of ‘soul’ within organisations and especially within the context of customer experience design? We need to think about four major factors which feature strongly in our approach. The first factor, internal = external, relates to the premise that what is within the organisation should be equal to that which is visible to all stakeholders. For any client, internal has to be the same as all that is external, i.e. that which is outside of the organisation. This is important because we are living a very precious moment in the world where connections are strong, and where transparency is increasing constantly within in the relationships between people, organisations and their stakeholders. Whatever the organisation is like inside will also be very clearly visible outside the organisation. So the client, that person who interacts with the brand and who interacts with any part of the organisation, will experience what that brand promises. If a brand aims to offer a value proposition for that customer, that’s what the customer will see in all interactions that he or she will have with that organisation; with its brand, with the interactions and projects which the organisation has in the community, how it relates to suppliers, with the environment, and with other stakeholders. It is important to observe therefore that the internal must faithfully deliver the external and this is expressed within organisations in all its parts. An organisation’s structure, management model, form of organising processes, communication between people – everything has to be consistent with the value proposition and that which is delivered to the customer. Internal = external is one of the most important pillars when we talk about soul and an experience with soul for clients and customers. The second pillar is authenticity. Authenticity is everything to us. Authenticity is the ability of the organisation to deliver its purpose, its reason to exist. Every single interaction people have, all that they do, their values and what they believe are fully expressed in all interactions within the organisation and outside the organisation. It is this consistency which creates confidence. Authenticity depends on respect, empathy and really knowing who we are conversing with, both inside the organisation and outside. People can only truly be authentic when they respect who they are. So leaders need to this question and ask if everyone in the organisation is being true in all their interactions. They need to ask questions such as whether or not all that is happening within the organisation is really reflecting their beliefs and values? This includes even the smallest interactions, and the form of interaction and communication between people. The third major pillar is the universal human values. The five universal human values are are truth, love, peace, righteousness and non-violence and these form the foundation of the character and essence of human beings. For each of these values, which are seen as absolute values, there are many different sub-values values which are the expression of the universal values. So for example how can love be expressed? How does it manifests itself within human relationships? The answer is through empathy, dedication, care, truth, honesty, integrity, curiosity, peace, patience, and the humility to understand others. In order to understand diversity for example, we need to consider in other people all that is different to us so that we can foster a favourable environment for creation and innovation. In order to be able to truly connect with other people we need to manifest peace. We need to express humility to understand that we have our own way of seeing the world, but that also other people also have as well, and that it is our joint understanding which enables us to see reality or some solution in a more profound manner. And for this we need to be at peace. Peace, righteousness and truth are all related and significant values in this context. In order to be great and inspiring leaders, we need to express and demonstrate righteousness. Non-violence is also closely related, with some of the related values ​​being tolerance, respect and harmony. When we are fully present within the organisation we are able to live all of these values, ​​not only with those with who we work, but also in our relationships with stakeholders and with our customers. When organisations are able to fully manifest the universal human values ​​in both internal relationships and their external relationships with their customers, they are then able to develop experiences with soul for their customers. This leads us to the fourth and concluding factor in relation to our approach which is the way in which we define sustainability as “the quality of our relationships”. The higher quality we have in our relationships, the more sustainable we will become as an organisation. This is also true for individuals. A sustainable person is aware of the health of all their interactions with the world. All interactions, if they are high quality interactions, are interactions that will lead the organisation to being a sustainable organisation and therefore a successful organisation. An experience has soul when one soul recognises another soul. Customer attitudes and sensibilities are changing rapidly. In a world of ever more transparency, there is no room for presenting a counterfeit image to the world. What this means, therefore, is that in order to find authenticity we must urgently start our inner journeys if we have not already done so. This is as true of companies or organisations as it is of individuals. This means moving beyond simply discovering the purpose for our businesses, to discovering how to deliver the purpose and understanding how to put it into practice. While it is of course possible to connect people emotionally to your purpose, you still have to find a way to put the purpose into practice. The sustainability, resilience and durability of a business can be found in the quality of its relationships. The soul in customer experiences with soul is the essence of a business and we encounter the essence through each and every part, be it product, service, advertisement, interface or personal interaction we have with the organisation. If you really care about creating something that endures, and that has roots, there is no way other than authenticity. The journey from where we are now to developing customer experiences with soul starts with ourselves and our relationships with those immediately around us. If we can understand and heal these broken and inauthentic relationships, then we can start to rediscover trust, values and what it means to genuinely share and co-create whatever we are attempting to envision, innovate and bring forth into this world. Maria Moraes Robinson is the co-founder of Holonomics Education, co-author of Customer Experiences with Soul: A New Era in Design and Holonomics: Business Where People and Planet Matter and has received international recognition for her work in human values and the expansion of consciousness in organisations. As a leading business strategist Maria worked personally with Robert Kaplan and David Norton developing the Balanced Scorecard methodology. 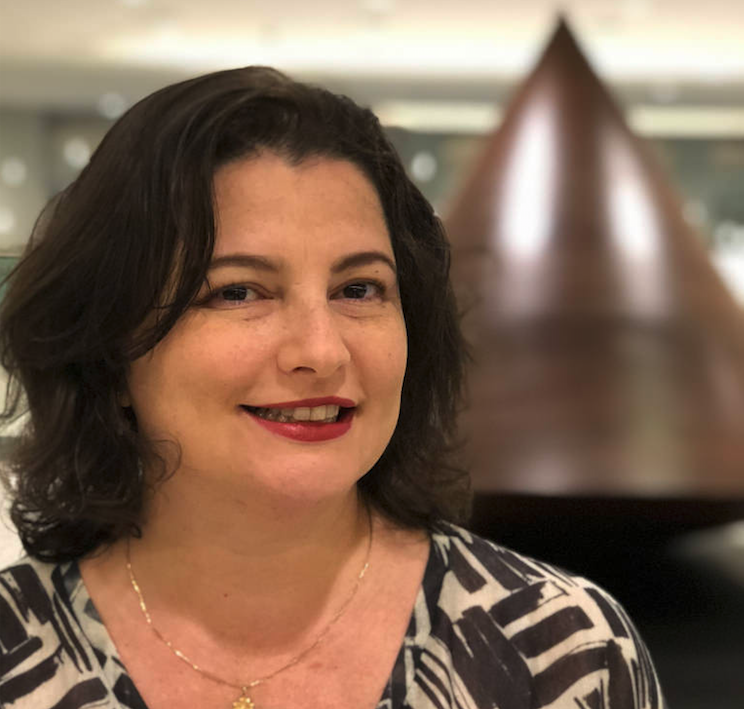 She is an international keynote speaker, a Harvard Business Review Brasil author and an international lecturer and visiting professor at Schumacher College in the UK and at Sustentare Business School in Joinville, Brazil.